As you will see below the School has been translated into most languages of the world and we are in the processes of finishing that task by continuing until the remaining are finished. We already have the School in various European languages as can be seen below and we are continuing on the work of finishing the rest. We still stand in need of excellent Spirit filled translators who love Christ and the Word of God and who long to have this School in their own language. Also we are praying that the Lord will raise up Regional Directors who can carry the vision and burden of this work. FREE BIBLE TEACHING is available for the following languages. Our work is a part of the fulfiling of the Great Commission by discipling (teaching) all nations before Jesus returns. This first list is material in DVD/MP3 format. The second list is available in written form. AFRICA:- Chichewa, Ethiopian Amharic, Kikamba, Kirundi, Luganda, Rwanda, Swahili. ASIA:- Bengali, Burmese, Hindi, Kannada, Karen, Malayalam, Nepali, Orya, Tamil, Telegu, Thai, Urdu, Vietnamese. EAST ASIA:- Chinese, Indonesian, Tagalog. 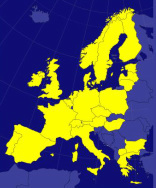 EUROPE:- Albanian, Bulgarian, Czech, English, French, Polish, Portuguese, Romanian, Swedish. MIDDLE EAST:- Arabic, Farsi, Hebrew. NORTH AMERICA:- English, Spanish, French. RUSSIAN FEDERATION:- Russian. South America:- Portuguese, Quechua. The School of Christ is not available for free download in the English or Spanish language. 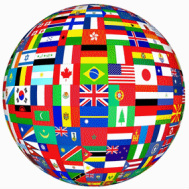 Albanian, arabic, Bulgarian, Chinese, German, Hindi (India), Hungarian, Indonesian, Italian, Macedonian, Malayalam (India), Portuguese, Quechua (Peru), Romanian, Russian, Spanish, Tamil, Telegu (India), Vietnamese.